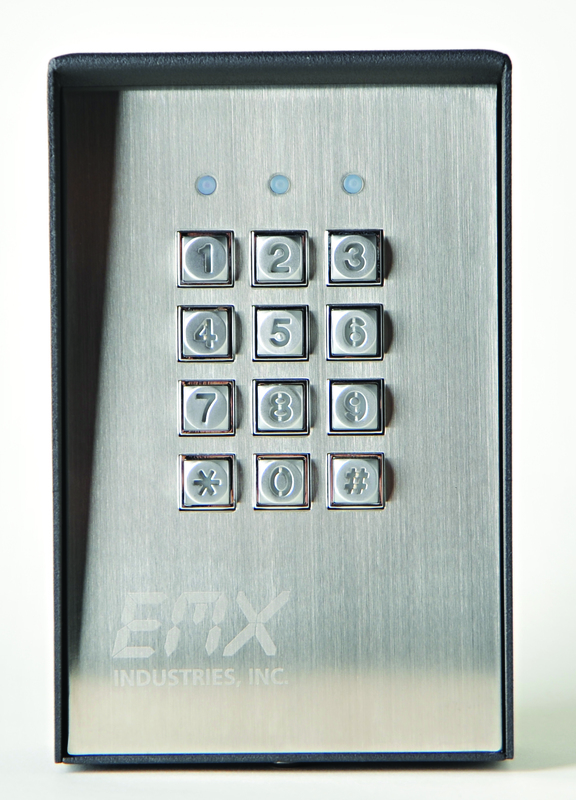 A dual relay output, programmable keypad that provide secure entry for gates and doors. Ideal for high traffic areas and harsh environments. Universal mounting options for mounting on a wall, post or gooseneck stand. 12-24 VAC/DC operation.